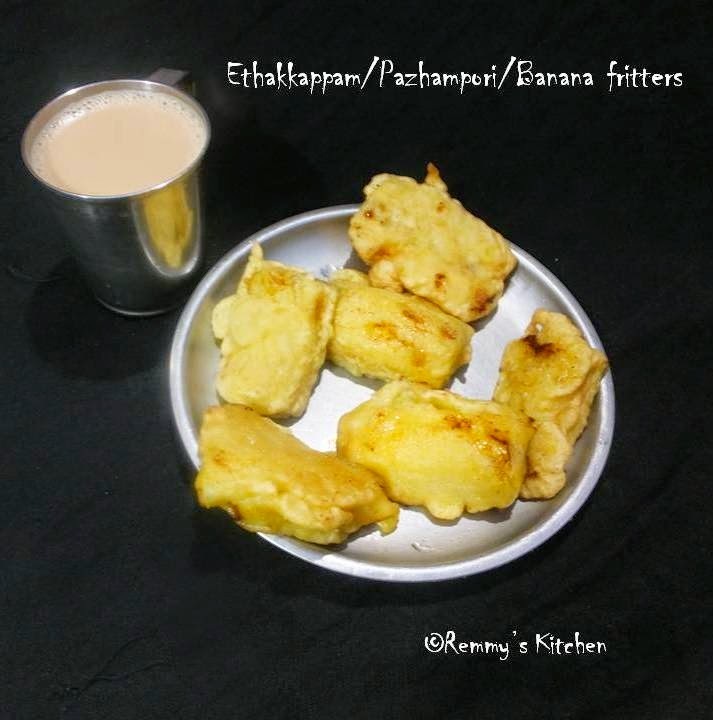 Pazhampori/ethakkappam is the most popular Kerala snack.Myt Achan (father)used to buy it from tea shops during childhood.But When my Amma retired from the service she too started making it often.We loved to take it with hot tea during evening. Heat a a pn with oil. 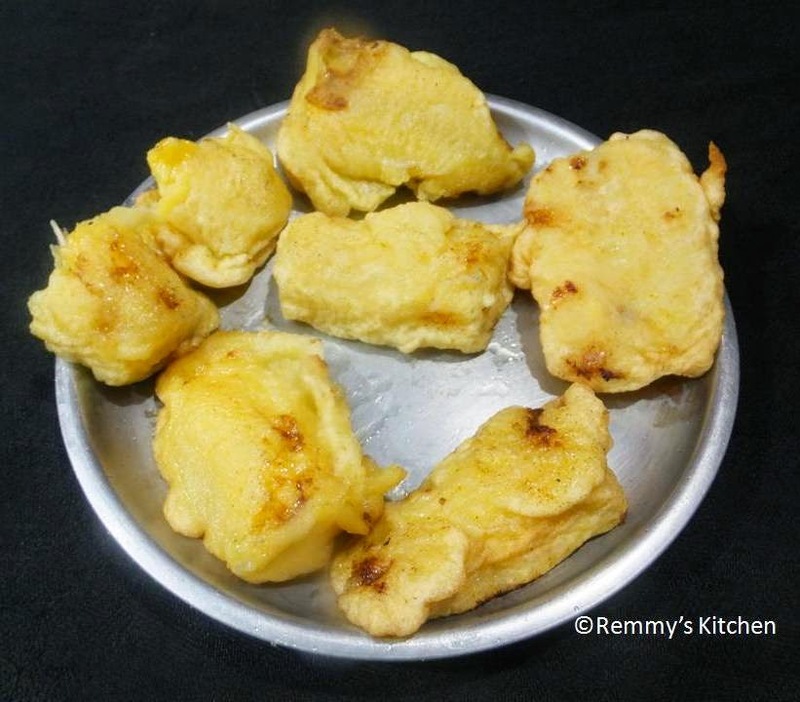 Now dip each banana slices in to the batter and deep fry it . love this,our family favorite..can munch any numbers,yummy! love it to the core.. yumm.. 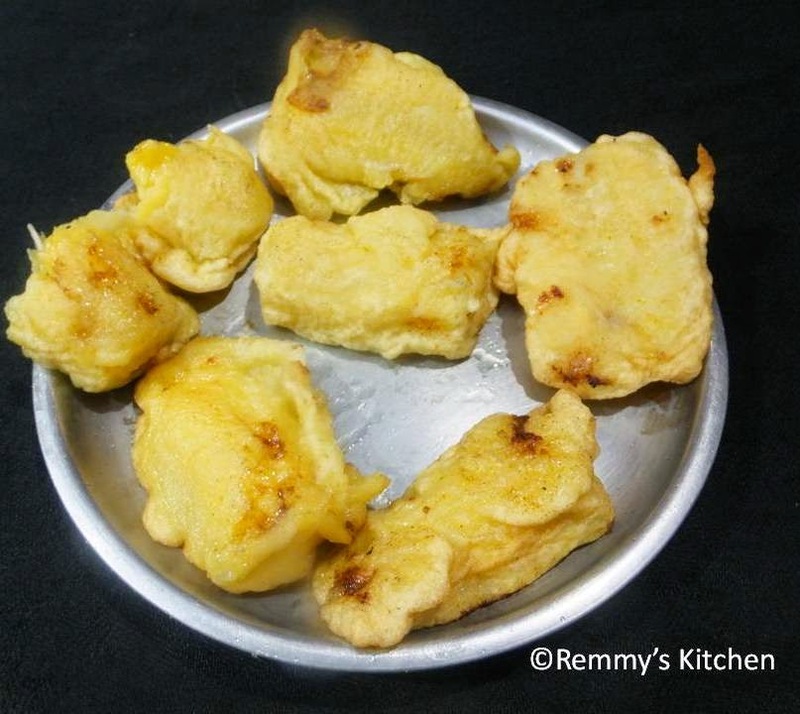 When ever i go to kerela, I never miss to have this....so Yummm!! !